Blogger is made to give easy ways for people to share there thoughts, what goes on around the world, and possible whatever you care to share with the masses. In the previous article, we started by definition and setting a good platform of what a blog is for you, and i believe you now know what a blog is now. 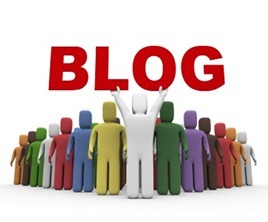 One of the features of a blog is to create a post. And since the purpose of a blog is to be able to share something new through text to the blog, creating then is not something very difficult to do. This is also one of the great features we found on a blog. Then ability to upload either picture or video. You hard see a blog who doesn’t give room for uploading of images to your post. Some platform gave the room for uploading of video and audio podcasts. The very interesting thing here is that most people don’t usually have video in a web ready, because of the huge weight of sure video. For the video uploading, it’s very rare because it take a huge spending of money for the space to host the video and also the bandwith that gave people the opportunity to watch it. That is very advisable to post such video on YouTube or Vimeo and get their embed labels in to your blog for easy access by your readers, quick and at no cost for both parties. We have diverse ways in which you can tune your blog layout. For example, I just changed my popular post label from the bottom of the blog to the side widget. I thought it’s very necessary for my visitors and readers to benefit from what others from search engines are benefiting. Moreover, tools vary in diverse in which you want to configure the look of your blog, and the methods on which they offer to do it. Interesting story here is that most blogs are built on themes designs that can be installed and also modified to your own taste. I want you to know that blog appearances are becoming more advanced on the daily basis. Blogger platform have makes it very easy for readers to view your blog and also drop their comments. There is also a latest comment box in which it user friendly and backlink bound. I added a commentluv comment box to my my blog from intensedebate which has really been helping a very good interactivity between myself and my readers. It is optimized and easy to navigate. You will want to remove some of comments left by readers and you will eventually have to fight comment spam. Different platforms provide varying degrees of spam protection and moderation features to weed out unwanted contributions. 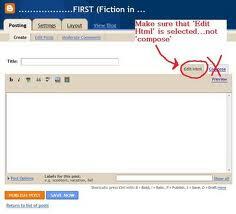 RSS feeds has since the era of time been a great support in blogging. It’s almost that without without RSS feed, blogging would have been limited. You understand now. 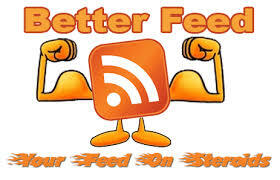 RSS feed allows more yourblogcoach users to subscribe the blog and also give out headlines via myAOL, myYahoo, iGoogle, if you’ve submitted your blog to bing. Therefore, if you are reading this post and you have not subscribed to our blog you are really missing a lot. But you can subscribe here, because we have more offers and goodies you’ll benefit from thanks. I bet you that blogger does not have answers to all blogger’s issue. And not every blogging tools offers the same degree of support, which means you have to look elsewhere for support. Probably elsewhere like forums or blog community, where you can find answers to your questions. This is one of the very important features of a blog and I’m particularly directing this last point to the new bloggers. We have some blogging softwares that live on your server while others are hosted by the software providers. A very good example of this is wordpress which is hosted by wordpress.org which is very easy to download and install on it own server/hosting account. These are some of the basic blogging features that pretty much all blogs provide. Next time I will describe another set of features that you may not know about but will definitely be useful to maintain your blog.